What was the one where he cracked up, "Love Me Tender"? Elvis Country came after That's the Way it is. GoogaMooga wrote: What was the one where he cracked up, "Love Me Tender"? Matt Wilson wrote: Elvis Country came after That's the Way it is. Thanks Matt, I came here to say the same thing. 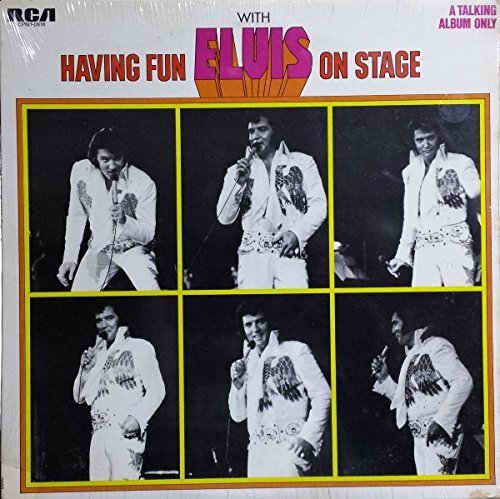 Elvis Country is a solid LP. "Elvis Country" was derived from the same 1970 sessions as the studio tracks on That's the Way It Is, and it's a good call. Personally, I think "That's the Way It is" has a slight edge over "Elvis Country", but they are both truly great. "Elvis Country" has the advantage of being compiled as a concept album of sorts. GoogaMooga wrote: "Elvis Country" was derived from the same 1970 sessions as the studio tracks on That's the Way It Is, and it's a good call. Personally, I think "That's the Way It is" has a slight edge over "Elvis Country", but they are both truly great. "Elvis Country" has the advantage of being compiled as a concept album of sorts. That " I was born " reprise thing drives me nuts. It would be much better without it. That's the way it is is a great record, but then sometimes Moody Blue is pretty good too. But not really an album. The best things he ever recorded. Matt Wilson wrote: But not really an album. It’s a collection of songs on a single LP or CD. Sounds like an album to me. If it’s only an album if it was recorded as such then the Beatles have almost no US albums. They were put together from collections of UK album tracks and singles. What should we call them? They were meant to be singles only, never recorded for any album. I'd call it a singles collection. We should call them American Beatles albums - which everyone knows are put together from collections of UK album tracks and singles, and then Dave Dexterized with needless echo until said tracks no longer resemble their UK counterparts. GoogaMooga wrote: They were meant to be singles only, never recorded for any album. I'd call it a singles collection. I can't imagine the day when I might say to myself that I want to listen to the Beatles Revolver singles collection. And I doubt that anyone else would. It's an album. What would you call a collection of live tracks issued on an LP or CD but taken from different venues and dates? What is a greatest hits or various artists collection issued on an LP or CD? I think you're splitting hairs. But we do call them albums. What would you call the collection known as Hey Jude or the Red and Blue double, um, things. I think that you, too, are splitting hairs. I'm not sure that there is a rule that an album has to be recorded as a single work. It's a collection of songs issued as a single piece. From whatever source. Tom, you're the one who's splitting hairs. The Sun Sessions is in no way an album. It's a collection of sessions which span different years. It's an album in the sense that live albums and compilations are, but in no other way. Now, it's true that some albums have songs from different sessions, some even going back years, but those songs are appearing on LP for the first time - unlike The Sun Sessions. Well then, to use Tom's loose definition of album - any collection of songs issued by the label company is one then. In that sense, The Sun Sessions is an album. Where is it codified that an album needs to be anything more than a collection of songs issued as a piece? I own Greatest Hits albums, compilation albums, various artist albums, etc. Do we need a different name for each of them? What is a photo album but a collection of photos in a book? Do they all need to be taken by the same person at the same time?